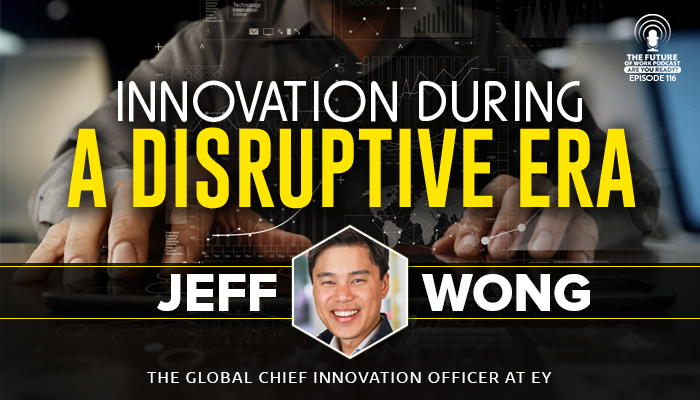 Jeff Wong is the Global Chief Innovation Officer at EY, a global organization that has over 200,000 employees worldwide. Before he was at EY he spent 10 years in innovation at Ebay. He has an AB in Economics, a Master in Industrial Engineering and Engineering Management and a MBA from Stanford University. The world is changing faster than it ever has before. We have seen the evolution of AI, self driving cars, drones and robots in the workplace and who knows where technology will go in the future. In this ever changing world it is imperative for companies to adapt and keep up with the times. The question is how can companies keep up when things are changing daily. Wong says innovation is “doing old things in new ways”. He says one of the most important things to do to stay ahead of the game is to pay attention to what is going on around the world. He says he is constantly reading up on world events and always listening to clients and employees around the world. Companies should be aware of what is going on around the world. EY has employees around the world which allows them to reach out to a whole host of regions in order to learn what different areas are doing and how it is working for them. Four main technologies that Wong and EY are paying attention to at this time are data analytics, blockchain, AI and robotic process automation. Innovation is no longer just about plugging technology in, technology is much more involved now. Companies and employees have to be willing to “get their hands dirty”. Wong says in order for companies to keep up with innovation they cannot just sit and talk about new technology. Companies need to play with new technology, they have to implement it and they have to actually use the technology to address real problems. Doing this allows companies to “see where that technology is today and how fast it is evolving”. There are three types of innovation; Disruptive innovation, which is looking far into the future to figure out what could be, adjacent innovation which is doing things one step ahead of today’s technology and sustaining innovation which should be done everyday to make sure you are staying on top of what you already have in place. Wong says it is so important for companies to implement all three types of innovation. When companies strive for innovation more likely than not, there will be failure. Wong says, “failure is a big part of innovation” and that the important thing is “what you learn from that failure and how to change the pathway around it”. Both Wong and EY embrace failure and understand that it will happen when companies try new things. 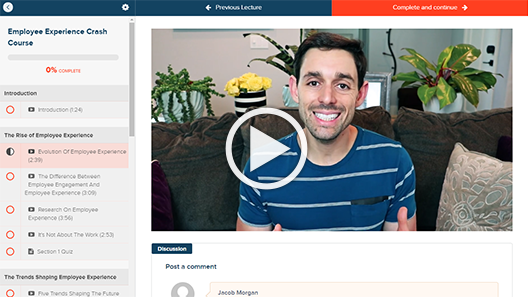 There have even been times when a project or an idea has had to be scrapped completely. This is just something you have to be okay with if you want to be an innovative company. Wong says in order to be a leading innovator in a disruptive world “you have to be willing and eager to learn. You can’t get stuck on any framework or model”. He says you can’t just be focused on the technology of today and you have to have the “willingness to be wrong, and admit it”. When it comes to advice for organizations trying to keep up with innovation, Wong says it is important to “read a lot, know what is going on in the world, get your hands dirty….know where things are today and where they are going in the future”.